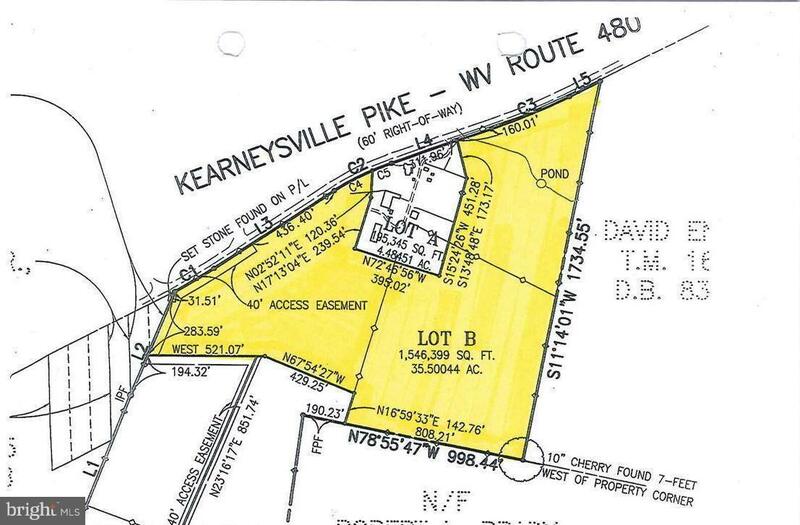 35.50 acres with frontage on Route 480, Kearneysville Road. Just outside of Shepherdstown, this property would make a great investment for a residential neighborhood, small farm or home site. Easy access to all commuter routes.